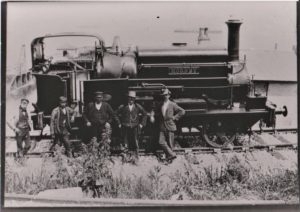 Friends of Portland Museum present a talk by local author and transport historian, Brian Jackson: “The Weymouth and Portland Railway 1865 to 1965 – A reappraisal”. To be held at the Girt Hall, St George’s Centre, Portland, Thursday May 2nd, 7:00pm. Admission £5 (£4 for FoPM members) to include a free raffle ticket and refreshments. Pay on the door. All proceeds go to Portland Museum.